MONDAY, Aug. 27, 2018 (HealthDay News) -- Everyone worries about drug abuse among children, but a hidden danger for some kids rests in prescription medicines intended to help them, a new study warns. Some children and teenagers who are prescribed multiple medications are at risk of drug interactions that could literally stop their heart, according to the report. "We found that about 1 in 12 kids using two or more medications together were potentially at risk for a major drug interaction," said lead researcher Dima Qato, an assistant professor with the University of Illinois at Chicago's College of Pharmacy. Most of the potential drug interactions detected in the study can create dangerous heart rhythms called arrhythmias, which might lead to sudden cardiac death, Qato explained. Teenage girls were most at risk for these interactions, which most often involved the combination of a long-term antidepressant and a shorter-term medication like a nonopioid pain reliever, an antibiotic or an anti-nausea drug, Qato said. She noted that the problem is probably even larger than observed in the study, since the researchers relied on data regarding prescription medication use. "We actually likely underestimate the prevalence of this problem because it's limited to prescription drugs. Many short-term medications like naproxen [such as Aleve] are available over the counter," Qato said. For the study, researchers reviewed federal survey data regarding prescription medication use by more than 23,000 children aged 19 and younger. 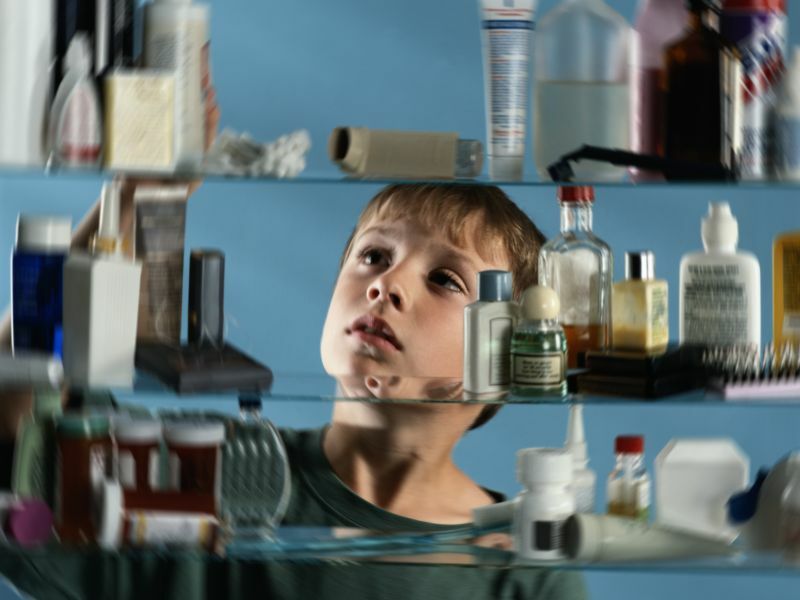 About 7.5 percent of kids reported using two or more prescription medications at the same time. Qato and her colleagues then referred to a prescription drug database to check whether the medications prescribed to kids could potentially create dangerous drug interactions. About 8 percent of kids taking multiple prescription medications are at risk for a dangerous drug interaction, the researchers concluded. Teenage girls were nearly three times as likely as boys to be taking a dangerous combination of drugs, 18 percent versus less than 7 percent. The difference was largely due to the use of antidepressants in combination with prescription NSAIDs, anti-nausea drugs and asthma medication, researchers found. Most dangerous interactions could cause fast and chaotic heart rhythms that might trigger fainting spells or seizures, Qato said. In the worst cases, these rhythms could cause the heart to stop beating altogether. The findings were published online Aug. 27 in the journal Pediatrics. "Extrapolating these data to the population at large, the message is that nearly 1 of every 100 children in the U.S. is potentially exposed to dangerous combinations of prescription drugs," said Dr. David Katz, director of the Yale University Prevention Research Center in New Haven, Conn. He was not involved with the study. It can be tough to get a handle on the short-term and long-term medications a kid has been prescribed, Qato added. "The way these kids use health care, they often go to retail clinics sometimes or emergency rooms. Their primary care doctor may not be aware of all the medications they're on, particularly if they're on them for a week or two," Qato said. Katz said that better systems are needed to track kids' prescriptions and check them for potential drug interactions. "But the bigger problem is almost certainly our highly medicalized culture, and use of medication when other options are preferable," Katz continued. "As the opioid crisis so vividly indicates, our society relies routinely on potentially dangerous drugs for many conditions -- mental and physical -- better treated by other means." Expanded use of EKG and heart health screening among school-age kids also could help, "especially with asthmatics and athletes who are more vulnerable to sudden cardiac death," Qato said. "We want to make sure drugs are not increasing that risk, particularly drug combinations."